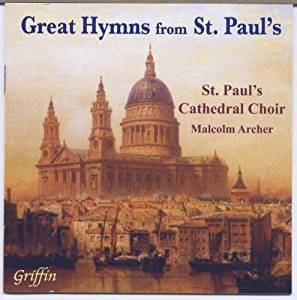 A superb new popular collection from the glorious sound of St. Paul’s Many hymns here have direct connections with St Paul’s, either through the text or the music (or both), and a number of others enjoy links with the cathedral. St Paul’s acts as a focal point for the faith and spirituality of a city and a nation, and plays host to great occasions. It is also renowned for its musical tradition and its magnificent organ, and has attracted some of the country’s leading musicians.